In the latest propaganda push to get everyone vaccinated for what is officially being called the 'deadly flu now striking America', Time reported on January 19th that new studies have found that the flu can be spread by simply breathing and that coughs and sneezing aren't even necessary for a sick person to pass on the virus to somebody else. Warning in their story “if that person next to you looks really sick, even if they’re not coughing, they can probably infect you”, the video featured in the Time story urges people to get their flu shots, even though they also report it's only about 30% effective this year. And with Infowars recently reporting that the most unhealthy state in America also has the highest vaccination rate lending credence to the arguments of critics of vaccinations who claim they're more dangerous than they are worth, we find it very concerning that one major vaccine skeptic recently received an extremely vulgar and frightening death threat at a time when many holistic health doctors are mysteriously dying, with a new doctor death reported just last week by Erin Elizabeth over at Health Nut News. And now we learn of two more deaths possibly tied to the Clinton Foundation as shared in much more detail below. For those who haven't been paying attention, over the past two-and-a-half years dating back to 2015, at least 84 holistic doctors have met their untimely ends and while many of the deaths were mysterious, the recent death of Dr. Clive Bridgham, of East Providence, Rhode Island, was just the latest of numerous doctors who have been outright murdered during that period. Is there some kind of a war against alternative medicine and those Doctors who help their patients realize that they don't need big pharma's poisons for many health issues that are much better treated naturally, with heavy emphasis upon strengthening our own immune systems rather than taking their poisons? While maybe not directly related to the dead holistic doctors, we find this new story over at Gateway Pundit extremely interesting as they report upon a Canadian couple whose deaths were originally ruled as murder-suicide but were recently both determined to be murdered, and who also just happened to own big pharma's corportation 'Apotex', also had contracts with the Clinton Foundation. Apotex supplied generic drugs to Clinton foundation in Haiti and Rwanda. Apotex also donated medicines and supplies to Clinton Foundation Puerto Rican relief efforts in 2017. As we'd reported back on January 2nd, two other families who had ties to the Clinton Foundation also had recently met their untimely ends. Are we now witnessing 'death by Clinton' playing out across the world as the 'Clinton crime family' may finally be held accountable for their crimes? In the 2nd video below, Linda Kirby looks at these deaths. As we reported on ANP back on January 17th, while the flu this year that has spread across the entire continental US is coming exactly 100 years after the Spanish flu infected 500 million, killing over 100 million of them, back in 1918, 'big pharma's only real answer' to this years still-spreading flu is to take their poisonous injections or tamiflu, which has recently led to at least 2 'events' were children were poisoned. According to this story over at Health Impact News which Steve Quayle recently linked to on his website we learn the Chairman of Israel Medical Association and World Medical Association Opposes Mandatory Flu Vaccines for Doctors, just another sign that we'd probably be much better off avoiding them. 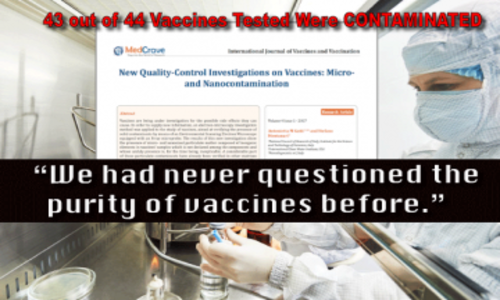 And in this January 15th story from Jon Rappoport titled "Massive flu outbreak? Here’s the real story the media won’t touch. The lies, the hoax, the scandal" he shares this shocking information that should make anyone considering getting a flu shot think twice. Dr. Peter Doshi, writing in the online BMJ (British Medical Journal), reveals a monstrosity. "It is necessary for a physician to know about nature, and be very eager to know, if he is going to perform any of his duties... what man is in relation to what he eats and drinks, and in relation to his habits generally, and what will be the effect of each upon each individual." - Hippocrates, On where the two worlds meet: a holistic approach to medicine. In this January 18th flu propaganda story from the NY Times titled "Still Not Convinced You Need a Flu Shot? First, It’s Not All About You" they report that "adults also need to get vaccinated to provide herd immunity for others, especially babies and older people", what appears to be an attempt to 'guilt' people into getting their flu shot is playing out. In closing we look at this January 17th story from Health Impact News which once again proves FDA tyranny as the government organization that should go out of business for trying to dictate to Americans what we can put inside of our own bodies tries to ban homeopathic remedies. As their story reports, the way that millions of Americans treat their illnesses may soon be affected should the FDA begin arresting and locking up people for taking homeopathic drugs. Tyranny? But not all will be pulled from the market, yet. Action Alert! 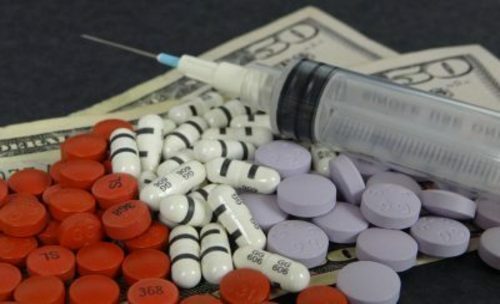 That’s right: in one fell swoop, the FDA has declared that virtually every single homeopathic drug on the market is being sold illegally.